Humidifier Filters - Do you really need it? Humidifiers are small portable electrical devices for adding moisture, also called humidity, to the air. There are also whole-house units that can retrofit to a furnace or included in a new installation of an HVAC system. To alleviate dryness in the air and to provide relief from dryness humidifiers benefit such conditions such as lungs, congested sinuses and nasal passages, and dry skin. Humidifiers also keep furniture, papers, musical instruments, and wall surfaces from drying out. When you have inside dry air during the winter when the heat is turned on or live in a dry climate, a humidifier is the way to go. They use filters and those purposes will be discussed here. You can choose from portable humidifiers or whole-house humidifiers attached to your furnace. Depending on your specific needs, browse the information provided here for your humidification needs. Why do Humidifiers Need Filters? Can You Use a Humidifier Without a Filter? Can You Make Your Own Humidifier Filter? Some humidifiers need filters to function. Many routinely use heat to produce moisture by evaporation. These filters do not need antimicrobial agents to prevent microbial growth because the heat kills those pathogens. Cool evaporation units use wick-type filters. When the water vapor is pulled into the filter, a fan runs to create the evaporation. The wicks usually have an antimicrobial agent coated onto it to inhibit virus, bacteria, and mold development. Mineral Absorption is where humidifier filters and cartridges trap minerals in the water that you add in its water tank reservoir. Humidifiers create a mist and minerals from ordinary tap water diffuse out to be a fine white dust on furniture and floors. By using distilled water, the dust is prevented from tap water minerals and lime scale. The water is about $1 per gallon and helps the life span of the humidifier and you do not have to do cleaning maintenance. Humidifier filters clean the air fine particles such as pollen, dust, pet dander, and smoke that will stay in the water in the humidifier. Filters catch the particles before they are emitted with the evaporated water. 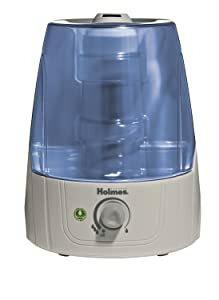 There is one type of humidifier that does not use filters. The cool and warm evaporation including hot steam humidifiers need and use some type of filter. Ultrasonic humidifiers create its mist using sound vibrations using no heat and requiring no filters. Yes and no. Filters are required to capture the particulates in the air for the units built with filters. Others humidifiers need no filters. Some ultrasonic humidifiers do not use filters. Humidifiers using filters are the best choice when using distilled or purified water. Humidifier filters trap impurities in the air when putting humidity into the air. You might be able to make a filter from coffee filters or other materials, but why bother. Check online for homemade filters for humidifiers. It is critically important to clean, maintain, and change filters in your humidifier. If you use tap water, the humidifier can become clogged from the minerals. Be sure to drain the water daily to keep mold from growing on top of it. Never let water sit in the water tank. If you are not going to use the humidifier for a while, drain the water, disinfect with alcohol or peroxide, rinse, dry, and store it. The Holmes® model HM2610-TUM uses no filters with its Ultrasonic technology. When you add cool mist to your home, you will benefit by not having dry chapped hands and lips, congested nasal and sinus passages, and furniture drying out. The area of coverage is up to 500-square feet. Antibacterial agents are added to the parts and plastics of the unit and it is whisper-quiet when running. The humidifier has a built-in digital humidistat with a dial to set the humidity to high or low. This unit is wonderful for dry climates and wintertime dry homes from running the furnace that dries out the air. The humidifier is quiet and delivers a mist that you can see. 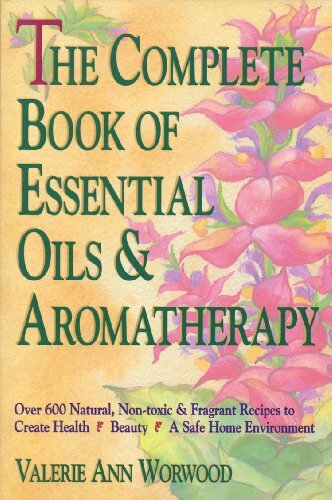 It has a built-in aromatherapy tablet holder for diffusing scent into the air for a soothing added benefit. The parent company, Sunbeam, sells the tablets. Look carefully when you open the box. They are very small wrapped in foil. The water tank holds 1.5-gallons of water for medium rooms misting 2-gallons per day. The tank will run for 24-hours and then shut off automatically when the water is gone. You will appreciate the convenient ‘empty tank’ indicator light to tell you when the reservoir needs more water. It has a variable mist control with a rotating nozzle to put the mist where you want it. The dimensions are 10-inches tall x 8-inches wide x 9-inches deep and it weighs about 6 pounds. The humidifier comes with a 6-foot power cord, and is UL listed. It will run on USA 110/120-Volts only. Gift-wrapping is available for someone you love. The unit comes with 2 aromatherapy tablets wrapped in foil, a User’s Manual, and a 1-year Warranty. We hope the research provided here will help you when choosing a humidifier for your air moisture needs. Read customer reviews to see what others are saying about different brands. Your home will be healthier with a humidifier that puts moisture into dry air. Be well and happy!